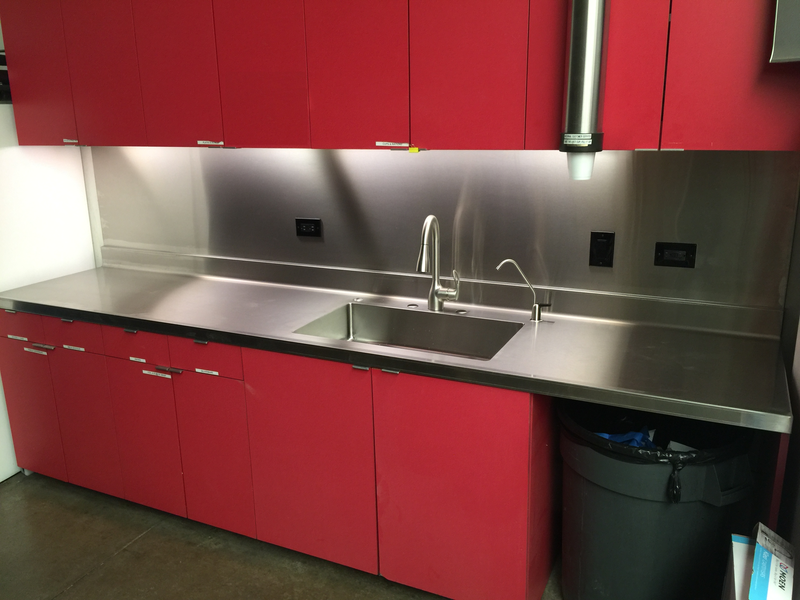 We have done several Stainless counter tops for many restaurants and commercial buildings you may frequent. This counter top is located in a Professional establishment that saves lives via rescue. This is one of several we have done for this particular establishment and their various remodels around Orange County. Returning customers lets us know that we are providing the workmanship and quality that brings them back. See any metal around you?? It’s possible, we made it.